Feel the Static - The Chip's Challenge Wiki - The Chip's Challenge Database that anyone can edit! Find the red key, green button, yellow key, fire boots, blue key, and exit. 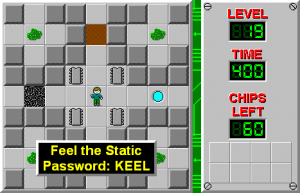 Feel the Static is the 19th level in Chip's Challenge Level Pack 1. It was created by Miika Toukola and originally appeared in his set kidsfair.ccl. 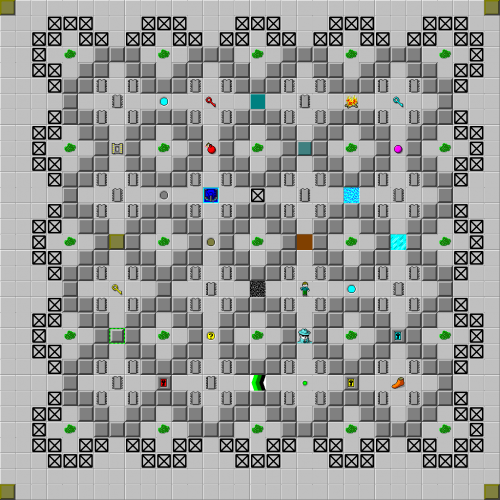 The level is a simple item swapper built into a fun wall pattern.